Newcastle United have been handed a boost in their hopes of signing Salomon Rondon ahead of Everton from West Brom as the striker names the Magpies his number one choice of club for a summer move, according to the Chronicle. The newspaper claim on their website that despite the Toffees taking a close look at snapping up the Venezuelan after his impressive form at St James’ Park, the 29-year-old wants to stay on Tyneside and will give Newcastle the chance to sign him first before talking to other clubs. The price tag on Rondon’s head could vary this summer with a release clause currently at £16.5million due to West Brom being in the Championship, but promotion could see that rise to over £20million this summer. 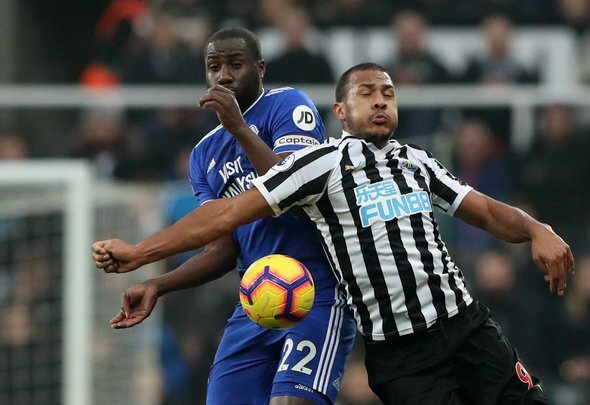 This is big news for Newcastle if they are serious about keeping Rondon on past the end of the season. Everton are no doubt a tempting club for Rondon, especially considering he would be their first choice striker, but it seems he has taken to life on Tyneside like a fish to water. He is absolutely loved by the Toon Army and they would be bitterly disappointed to see him leave after his efforts this season, especially if he ends up moving to a top flight rival. However, that price tag is not doing the club any favours and if West Brom are promoted at the first time of asking then they can pretty much give up any hope of sealing a deal for him. At 29 he just does not fit the blueprint that Mike Ashley is setting out for transfers and despite his impressive performances at St James’ Park, a cheaper, younger hitman will be targeted – disappointing the fans, Rafael Benitez and Rondon all at once.